Ofsted inspectors today praised a local primary school for the “impressive amount” that has been achieved in a short timescale. Ofsted visited Loseley Fields Primary School in November, just 10 weeks after a new Headteacher took up post at the start of the new academic year. Loseley Fields Primary School is part of GEP Academies, a family of schools in Guildford. 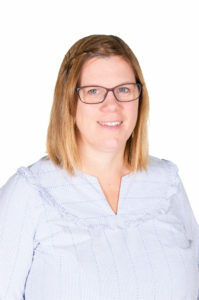 Mrs Amanda Pedder was appointed as Headteacher in September. In their report, Ofsted judged a number of areas in the school to be “Good”, including leadership and management; personal development, behaviour and welfare; and our Early Years provision. A newly established culture of high-expectations and positive environment for behaviour and learning. The relentless focus on improving pupils’ behaviour, which has helped the school’s rapid pace of development. Skilled leadership, newly developed procedures and the combined efforts of all staff have turned behaviour around. This has been welcomed by parents, and pupils told inspectors that classroom behaviour is much improved this year, with learning no longer being disrupted. A new dedicated team of support staff who provide skilful support to nurture pupils with SEND. New systems designed to close gaps in teachers’ knowledge about pupils’ learning, supplemented by new and effective opportunities for teachers to develop subject expertise. Early Years is picked out as a particular strength of the school. Pupils are making good progress and being very well prepared to move into Year 1, with parents commenting favourably to inspectors on how much their children have already learned since the start of the academic year. Learning in Reception is described as being “skilfully organised” because staff know pupils well as individuals, and that these strong relationships make pupils feel confident and secure. Ofsted also notes that following concerns about the school’s performance, GEP Academies took decisive action to strengthen the leadership at Loseley Fields. 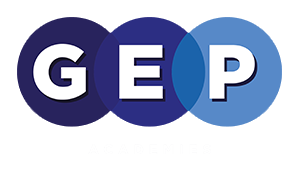 The report points to GEP Academies working in close partnership with the governors, providing support throughout this period of change for the school. “We are pleased that Ofsted have recognised the significant and positive changes that have been made at Loseley Primary since the start of the new term. After a period of instability, we are delighted that Amanda Pedder and her team have already had such an impact and it’s clear that both staff and parents are fully behind her.